← Atlantic Program Compagny, société de revente basée à Marrakech. This is one of the times that we do not report about a particular “company” that contacts timeshare consumers, but about a way of approaching consumers, ones who already were so unlucky to have been duped before and are being attacked again! Recently have been active a number of dubious companies cold calling consumers who had already dealings before with other fraudulent companies and lost money with them. They explain them that a COURT CASE had taken place in regard to the company they were dealing with before, and that ASSETS HAVE BEEN FROZEN to be paid out to affected consumers. Their company has been asked to deal with all the victims, is what they explain. Wow! That is what mostly the consumers say when they hear this. Who would not like to recuperate lost monies! Too good to be true, say some wiser ones! Many times initially is confirmed that there will be NO UPFRONT FEE to be paid, but they also mention that once the refund amount is available, the consumer is due to pay either a percentage of the refund amount or a fixed amount as court fees, translation costs, notary fees and costs for a registration (NIE) number (for more information about the NIE number click http://bit.ly/VCtYfc) to be able to release funds or other invented reasons. Often consumers are even provided with certain documentation, to make them believe that the money is really deposited on an ESCROW ACCOUNT, but these documents are faked, e.g. falsified bank statements from real existing banks! Once the money has been paid by the consumer, nothing else happens and the consumer finally finds out that he has been duped again, because there are no court cases, no monies have been laid aside, no assets frozen to be paid out to defrauded consumers. This is all a big FAKE and you better do not believe a word, if you are cold called by someone telling you this or a similar story! If you are cold called by a company that disposes already of your personal details at the time of calling you, it is already more than doubtful, but if they pretend to be able to obtain such a claim for you in regard to earlier dealings you had, the latest your alarm bells should be ringing. 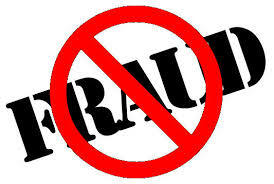 Most probably these people that contact you now are the SAME ONES that defrauded you before! Once again we confirm that there are NO COURT CASES and NO FROZEN ASSETS or monies waiting to be paid out to consumers, so if you have been cold called by any company with such a story, please let us know. You can contact us by e-mail customercare@mindtimeshare.com or leave your comment here on the blog! Perhaps other consumers can learn from your experience! Please remember, if you had already dealings with companies where you lost money, let us know and tell us what happened; we might be able to help you further! This entry was posted in Tips & Advice, Warnings and tagged Claims Companies, Court cases, Fake Lawyers, Fake liquidators, Fake Notaries, FROZEN ASSETS, Spanish Government, Timeshare compensation claims, timeshare consumers, Timeshare Fraud, Timeshare scams. Bookmark the permalink. 3 Responses to Attention with Pending Claims and Frozen Assets waiting at Courts to be paid out! This is the email we sent the other day, we gather its fake again these contacted us a few month back, gather by the article you sent its a con again ? Please note that PriceWaterhouse Coopers Ltd in Gibraltar are the REAL Liquidators of Reclaim Ltd. DOES ANYONE KNOW OF SIGNATURE HAVEN, WHO KEEP CALLING.